What is so special about a staircase? Aren’t they just supposed to take you to the next floor? 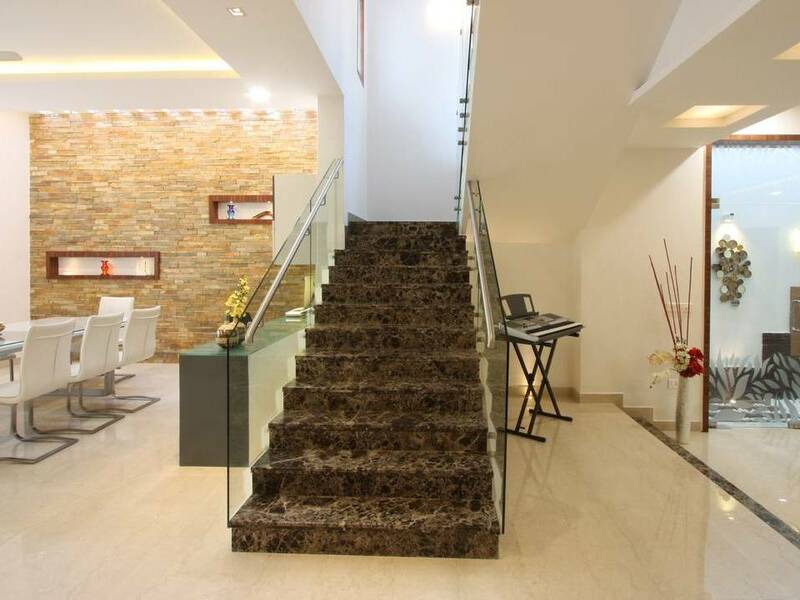 Well, the stairway, too, can become a style statement as there is no dearth of innovative ideas that can suit your taste, available space and budget. “The demand for innovative stairways comes more for independent homes where stairs form an integral part. 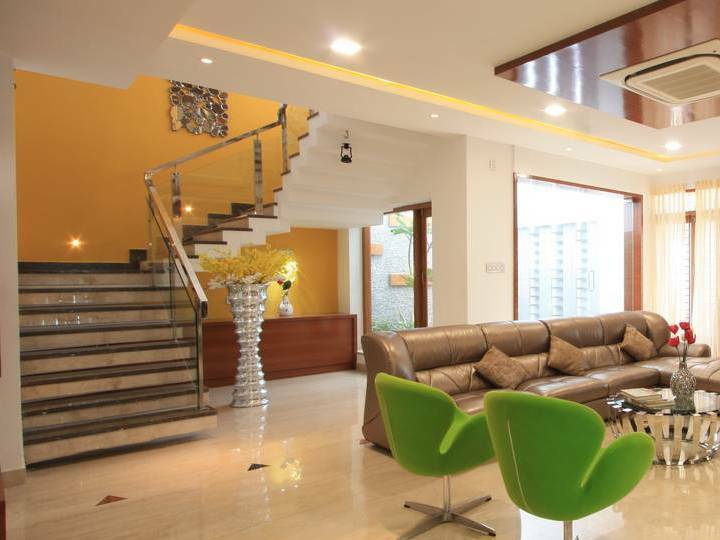 An increasing number of home owners want their staircases to be pieces of sculpture or a work of art and placed in a prominent position in their living rooms,” says Dameem Ansari, principal architect of Ansari Associates, Architects and Interior Designers. And, today, customers are spoilt for choice, Ansari adds. One need not necessarily stick to the traditional concrete dog-leg staircases for interiors. Nowadays, staircases turn by 180 degrees after a mid landing require at least 85 sq ft of area. However, those who have space constraints can go for a spiral stairway, as it consumes just 25 sq ft. Spiral staircase usually gets support of a metal or concrete pillar. “This is preferred in homes with two floors. If the staircase connects more than two floors, the user may feel dizzy climbing down a spiral staircase,” Ansari adds. The pre-fabricated stairs of wrought iron or cast iron, or even concrete, are available in the market and can be fixed easily. A bigger variation of spiral stairway — minus the supporting pillar — is helical stairway. They are structurally strong and work well with a support at the top and bottom. They add glamour with its sculpture-like appearance, which sometimes resembles a twisted ribbon. A helical stairway occupies around 100 sq ft and the cost is three times that of a spiral stairway, as the work is more complicated. Another fanciful idea for stairs is cantilever stairs. These are a group of individual steps protruding out of the wall. They do not occupy much space and are preferred in homes with walls of less than 10 ft height. The steps can be pre-casted and inserted into the wall during construction.As far as spend is concerned, they will cost you less than a traditional staircase. In traditional stairs, too, newer versions are available like folded waist slab steps and stringer beam. The use of material, too, adds to the aesthetics of a staircase. Apart from concrete steps, wooden planks and different types of metals can be used. The costliest among them is a combination of metal with toughened glass over it. Gripped stickers are used on the sides for safety. For handrails, there are several options available from concrete to wood to metal. A combination of metal and glass, or wood and stainless steel are commonly used. 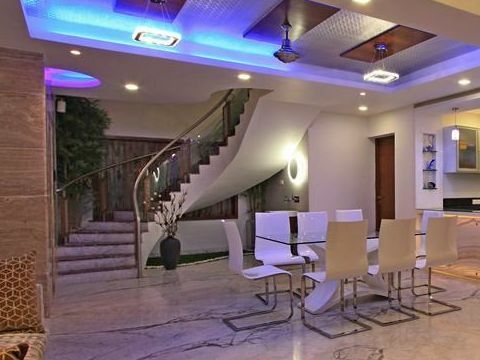 While proper lighting is necessary for any staircase, special LED lighting on the side wall or on the steps can make them a centre of attraction. 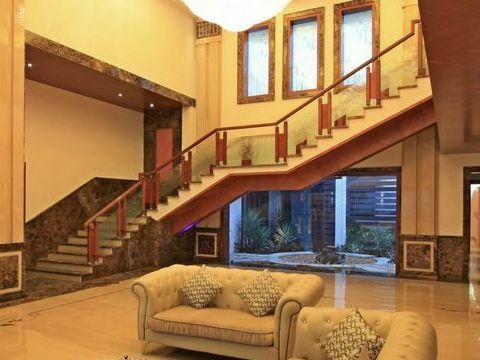 While a normal staircase can cost you Rs 75,000 to Rs 100,000, the high-end glass stairs can go up to Rs 300,000 to Rs 400,000. The bottom of the staircase, too, can be spruced up and need not necessarily be dim-lit and dingy. Landscaping with pebbles and fish ponds is an aesthetic way of space utilisation. However, some prefer to use the area to keep shoe racks or even for study. By Sangeetha.G, Based on Interview of Mr. Dameem Ansari Published in Financial Chronicles.